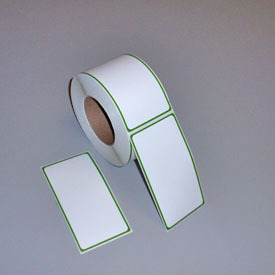 Special adhesive adheres to any rubber service. 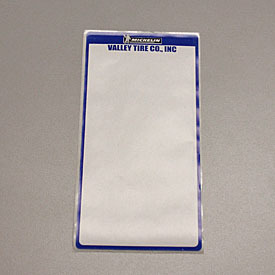 For use by commercial / retread. Available plain, or with green or blue border. 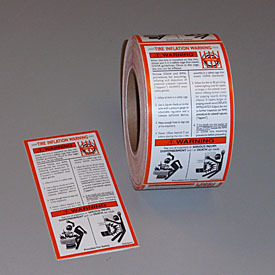 Tire inflation warning labels for retread tires including OSHA information. 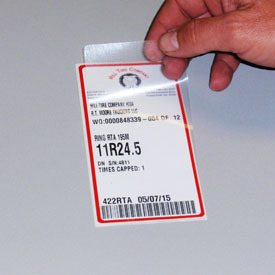 Protect the data and barcode image on product labels with these laminate labels that cover printed information. 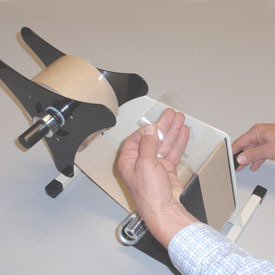 Speed up peel and stick procedures with this dispenser for laminate labels.